I could use a play on words and explain the reason this last post in our A to Z Blogging Challenge is late by saying something about forgetting to do it. The truth is that it's a difficult subject to write, or even think, about. For those of us with adult children who have Down syndrome, the worry about Alzheimer's disease is always present. Usually the private and public sector operate on extremely different levels with different agendas. Private companies are guided by the bottom line (for profit) or their mission and board (non-profit). Government entities function within a larger bureaucracy, bound by rules and red tape. We can debate which one is “better,” but the truth is, when it comes to providing the best care for our loved ones, we need all the help we can get. In Chinese philosophy, yin and yang (also, yin-yang or yin yang) describes how apparently opposite or contrary forces are actually complementary, interconnected, and interdependent in the natural world, and how they give rise to each other as they interrelate to one another. Today we'll look at two different but complimentary entities: the Association of University Centers on Disabilities (AUCD) and Disability.gov. When our children are young, we're involved in an entitlement program - the school system is charged with bringing services to us. As our children age out of school, we're in charge of seeking out the best supports for our families. These two sources are great places to find answers and keep up on what's new in disability services. Today we are using a word found in the urban dictionary, a term derived from fiction, however the threat is still real. I confess, I have scrapped and re-written this blog about 10 times. It’s not easy stuff to write, to share, or to face. Which may surprise you to hear as I have written and written and written about this. No, it never gets easier. But that’s not all, only a few weeks ago Princeton Professor Peter Singer, stated in an interview that it is “’reasonable’ for the government or private insurance companies to deny treatment to infants with disabilities.” If you want to know more about the statement and Singer, without losing all hope for humanity, read the NCD reply here, instead. Less than a year ago, another bioethicist publicly claimed it is “immoral” to have a child with Down syndrome. @InYourFaceNYer Abort it and try again. It would be immoral to bring it into the world if you have the choice. Those of us with adult children know that we, as a society, have come a long way in terms of advocacy and services for people with intellectual and developmental disabilities (ID/DD); but we also know that we still have a long way to go before our children are fully accepted and understood. Today we’ll look at what kinds of projects are on the table right now, and where we might want to go next. Our community has been celebrating a victory lately: the battle to get the federal ABLE bill passed took almost a decade. Parents and advocates from the Ds community fought in the trenches with people from many other disability groups. That kind of teamwork and dedication is necessary to accomplish the big tasks. The National Down Syndrome Society was among the leaders of that charge, and they have a well thought out plan for what comes next. During the 321 eConference, Ginny Sessions Siller, and Heather Sachs talked about the NDSS agenda for 2015. The NDSS National Policy Center is heavily involved in passing and tracking the progress of ABLE bills at the state level. Both the NDSS and the NDSC have a system where you can sign up for alerts when support is needed from the community. In some ways, we in the Down syndrome community are our own village. This last March 21st organizations and individuals reached out to unknown friends and presented them with random acts of kindness. A lovely introduction to our village. The idea for WDSD RAK was conceived and designed by the “big groups” then disseminated to individuals and local groups to do and facilitate however they wanted. That’s the beauty of what made this really work. Everyone could take a hold and do what felt right for them. For example, the lovely Big Blueberry Eyes Family – they really made a day of it. Others gave quarters with signs at laundromats, or chick-filet, or Starbucks, and on. Josh and Joey had a lot of great input on Random Acts to share. In its essence the United Nations (UN) is a family, a family of nations. And at the heart of its millennial missions is the family. As a result, for 2015 an emphasis on the family motivated the UN to invite families from its member nations to take part in the issues affecting them and the world. Humanity is diverse, and the UN recognizes that diversity is not just about skin color. Different abilities paint the landscape of humanity as much as color and gender. How we, as a society, treat our most underserved is reflective of who we are. How do you get current research, answers to questions, and access to experts out to people in the community? Can you do it without the costs associated with travel? How do bring physicians, researchers, teachers, and families together to learn from each other without having it cost a fortune? The answer is 321 eLearning! The vision for 321 eLearning and the 321eConference is to create a global learning community for members of Down syndrome community. 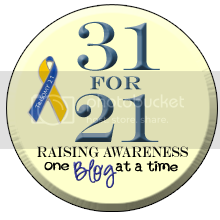 321eLearning will provide synchronous and asynchronous learning products and services for parents, teachers and researchers who are supporting individuals with various forms of Down syndrome. Our mission is to provide an affordable, accessible, and scalable solution to build knowledge, engagement and empowerment within the global Down syndrome community through innovative learning solutions designed to connect parents, educators, and researchers. We are less than 100 days away from the Special Olympics World Games and Los Angeles is getting ready to host this great event that will be televised on ESPN and feature athletes from around the world. In an interview with Spain's leading national newspaper ABC, Tim Shriver, Chairman of Special Olympics tells us that Special Olympics is the way for those least valued to heal the world. "Our athletes are Olympic athletes. Many people who come to Special Olympics end up crying. Something inside of us opens. Something so emotional that you can’t avoid. You say to yourself “My fears are gone, I only see a human being competing and it teaches me everything that I know.” It’s amazing!" Speaking of the World Summer Games taking place in celebrity-filled Los Angeles this summer: "We will demonstrate that the real stars in life are those that, in a simple way, trust human beings in their heart and look to the future with optimism." On the future: "We are introducing Unified Sports to schools. If you grow up like this, as an adult you won’t see differences, only what comes from inside. It’s not a bad goal, right?" “Together we can do so much." My daughter Ruby was born unexpectedly with Down syndrome in 2010. Like many other families receiving the news, the hubby and I were not exactly sure what to expect or what the future would hold. Do we ever though?? One thing we knew for sure: we were dedicated to giving her all the right opportunities to be the best lil’ version of herself she could be. I knew, the first time I held her, I knew that the light inside her was so bright, the spirit inside her was so strong. I knew she was capable of anything. I didn’t know it yet, but this was the day that Ruby’s Rainbow was born as well. This was the day the fire was ignited in me to want to do something extraordinary to help people like my sweet Ruby achieve greatness. I wanted to help but didn’t know how or what to do. When Ruby was about six months old I started researching programs and support for individuals with Down syndrome. I found there was lots of early intervention programs and things for younger kiddos and adults, but once they graduated high school these opportunities and support dropped off dramatically. Then what? What were these individuals doing? Another mantra of Ruby’s Rainbow? “Life and learning don’t stop after high school.” What did the future for my daughter look like? I wanted so desperately for her to have all the wonderful life experiences and opportunities as any other person, disability or not. This face deserves all of these things and more…don’t you agree? As recently as 1983, a person with Down syndrome was barely expected to live into adulthood. Three decades later, most of the people living with Down syndrome are adults, and have the potential to live long lives, with many expected to live to 55, 60, and beyond. The end to widespread institutionalization of people with Down syndrome, which began with the Community Mental Health Act championed by President John F. Kennedy. Improvements in medical care and treatments. The human and civil rights movements, which made people with Down syndrome be seen as an increasingly important part of society. Although these advancements have set the stage for people with Down syndrome to live longer, happier lives and societal acceptance and government legislation are both moving in a positive direction, research and medical advances take significant investments of time and money and Down syndrome is the least funded genetic condition in the U.S. Therefore, we need to focus on accelerating these positive aspects. We need to focus on quality of life.